Phil Lamason grew up in Napier, New Zealand. A town boy with a passion to become a farmer, Phil, on leaving school set upon a path in pursuit of his dream. Calamitous events on the world stage soon interrupted Phil’s career plans. At the outbreak of World War II Phil volunteered for service with the Royal New Zealand Air Force, RNZAF. During his training he was identified as ‘having leadership potential,’ which saw him directed into the RAF Bomber Command on his arrival in England, in July, 1941. Over the next three years Phil became a skilled pilot of heavy bomber aircraft, completing 44 successful operations over enemy held territory. During that time he was awarded the DFC and Bar for his leadership, bravery and courage under fire, and he also served for over a year as an RAF bomber crew instructor. Military life for Phil changed dramatically on June 8, 1944, when his Lancaster bomber was shot down by a German night-fighter while bombing a target near Paris, France. Surviving the crash Phil successfully evaded capture by the Nazis with help from members of the French Resistance organisation. Regrettably Phil and others were betrayed by an infiltrator into the hands of the Gestapo, and after a time in Fresnes Prison, Paris, he was transported to the infamous Buchenwald Concentration Camp in Germany. 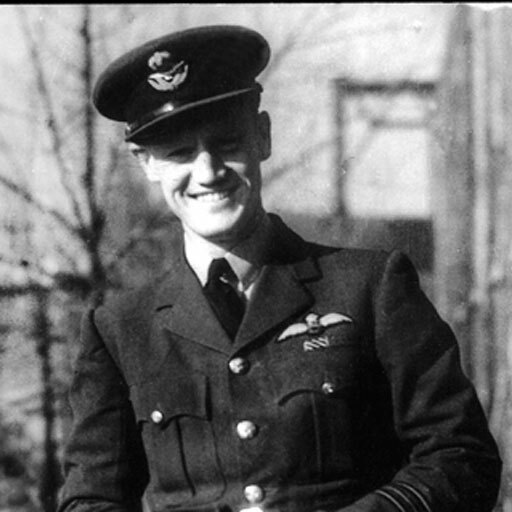 There, aged just 25 years and as a Squadron Leader and senior officer responsible for 168 Allied Airmen in the Camp, Phil displayed “very strong traits of single-minded determination, selflessness, cold courage and forcefulness in the face of the very real threat to him of execution by the camp authorities…” A key outcome of Phil’s positive assertive leadership action was the movement of the incarcerated Allied Airmen into a legitimate Prisoner of War Camp which enabled them to survive the War. Phil Lamason was a reluctant hero. Post-War, like many of his colleagues Phil just got on with life. Only towards the end of a long family life in farming did he talk, always reluctantly, about his wartime experiences. Phil Lamason was never officially acknowledged in his own country for his war leadership and heroism. It is the mission of the Phil Lamason Heritage Centre Trust to ensure that Phil Lamason’s actions during his time in Buchenwald in 1944 will endure as an exemplar and inspiration for students of leadership for generations to come.